Back pain affects a great many people in the population, and can lead to people having to take time off work, or miss out on sporting and family activities. In some cases, it may be possible to prevent or help the back pain by increasing levels of certain foods to improve vitamin levels naturally, or by taking vitamin supplements (but avoid taking megadoses – very high doses – as these can be harmful). With any types of back pain, it is important to talk to a doctor if the symptoms do not go away after a few days. This is especially important if the symptoms include tingling, numbness or any problems with movement, or if the symptoms are in children. If you are taking prescription or over the counter drugs, ask a doctor or pharmacist before taking vitamin supplements, as these can increase side effects. Vitamin B12 (cobalamin) has a role in the health of the brain and the nerves, including those in the back, as well as the blood. Vitamin B12 supports the protective sheaths around nerves, helps nerves grow, and helps nerves regenerate after damage. A lack of vitamin B12 can cause peripheral neuropathy, which is damage to the nerves outside the ventral nervous system. Symptoms include tingling, pain and numbness. Peripheral neuropathy can cause back pain. Most vitamin D in the diet comes from animal sources, including meat, fish, shellfish, dairy and eggs. Vegans can find it difficult to get enough vitamin B12, and so need to get this from supplements. Vitamin D, along with calcium, is vital for healthy bones. Vitamin helps the body balance its levels of calcium and therefore a lack of vitamin D can cause softening of the bones (known as osteomalacia in adults and rickets in children), leading to bone damage and deformity, which may then cause back pain. In a study in Saudi Arabia, where vitamin D deficiency is common, researchers found that 83% of patients with low back pain with no obvious cause had very low levels of vitamin D in their blood. 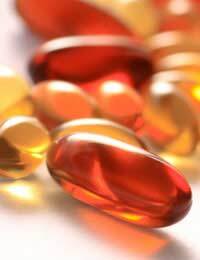 After the people with low levels of vitamin D were given supplements, 95% of them had improvements in pain. Another study, in older women in Italy, showed that with low levels of vitamin D deficiency were almost twice as likely to suffer from back pain as women with normal levels of the vitamin. This did not seem to happen in men. Vitamin D deficiency may also be linked with certain cancers and multiple sclerosis. The skin makes vitamin D when it is exposed to sunlight, and vitamin D is also in dairy foods, oily fish, meat and eggs, and in supplemented foods such as margarine. For free vitamin D, get daily or weekly (safe) exposure to the sun – and take a walk while you are out there, as weight-bearing exercise strengthens the bones, and keeping fit helps back pain. Vitamin E is important for health nerves, and may have anti-inflammatory effects, which could help with back pain caused by osteoporosis, and by sprains and strains. Good sources of vitamin E include green, leafy vegetables, seeds and nuts.